Elegant 2.5 inch hard disk enclosure from Orico for SATA hard disks and SSD disks. Super fast with USB 3.0 to 5Gbps read and write. 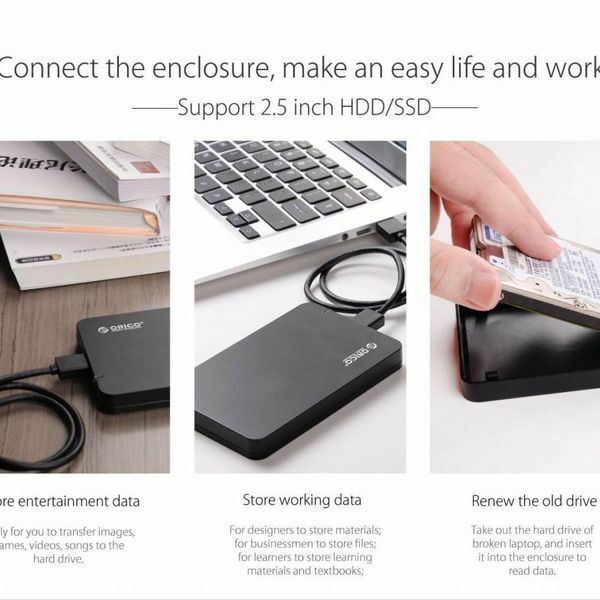 Looking for a housing for your 2.5 inch hard drive? Then look no further! This high-quality 2.5 inch hard disk case with USB3.0 combines SuperSpeed ​​5Gbps with a stylish appearance. The housing is suitable for HDD and SSD discs between 7mm and 9.5mm. 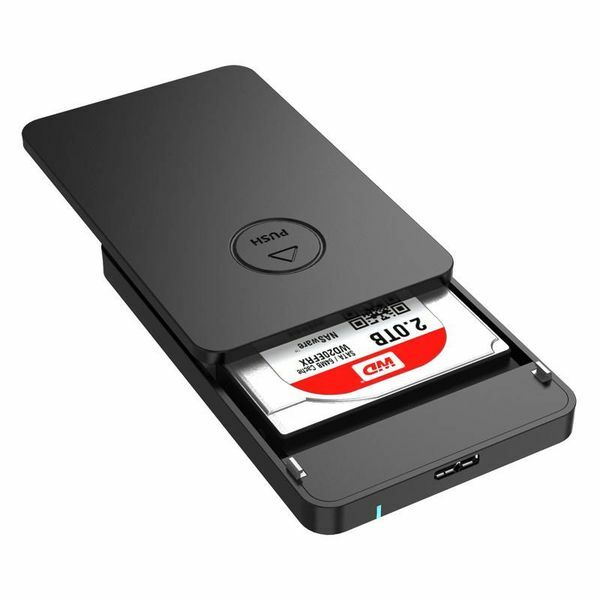 This 2.5 inch hard disk enclosure supports the UASP protocol. This protocol ensures that the hard disk is read up to 70% faster, while transferring data is 40% faster compared to normal USB3.0 devices. 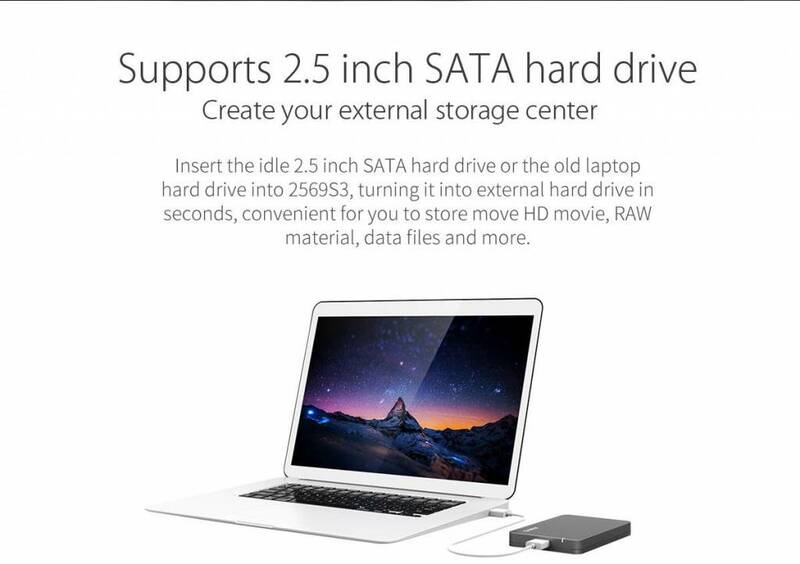 This performance is achieved while the processor consumption is reduced to 80%. 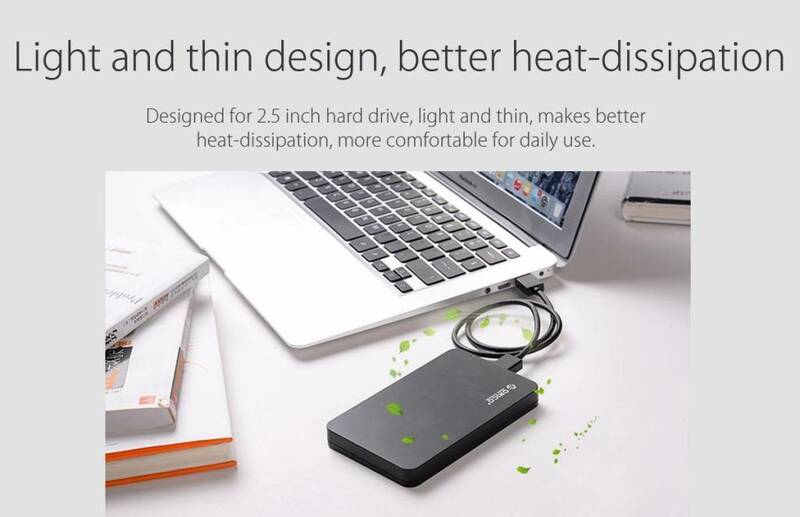 The 2.5 inch hard disk enclosure is made of heat-resistant ABS plastic. This black housing is finished with a satin finish and fits perfectly in the "Mac Style". Naturally, this 2.5 "hard disk enclosure is also perfect for use with your Windows lapstop and deck. 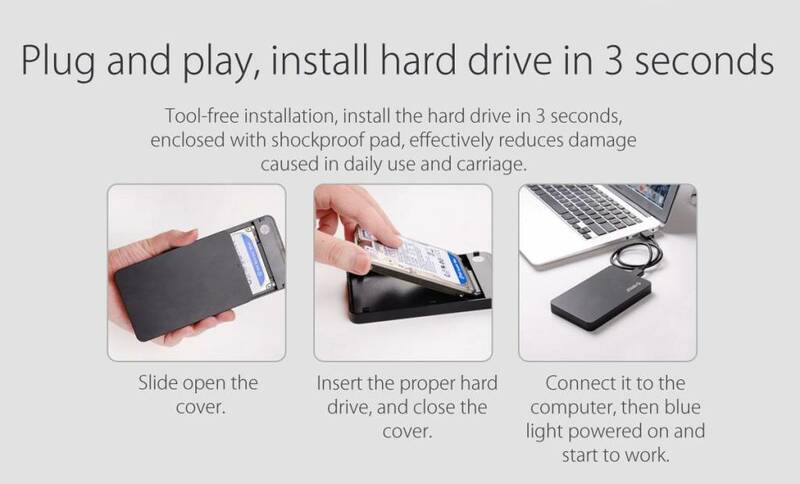 To use the 2.5 inch hard disk housing no tools and technical knowledge are required. 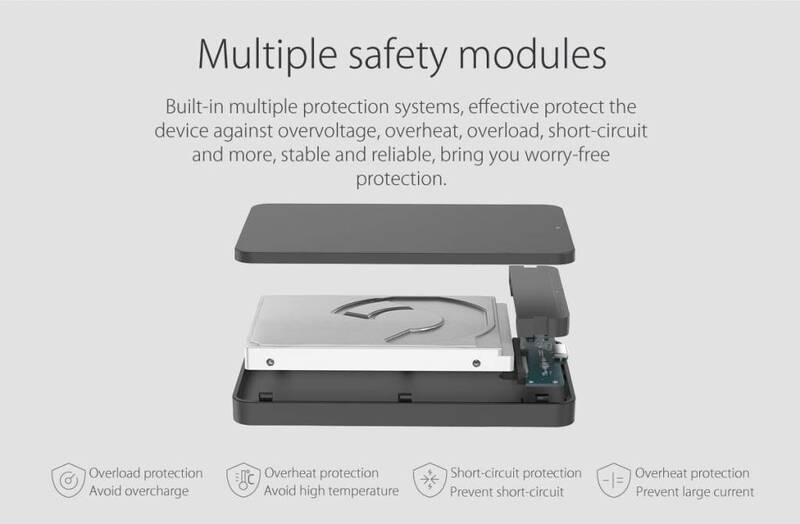 You take the lid off the case, place the 2.5 inch hard drive in the housing and you close it. 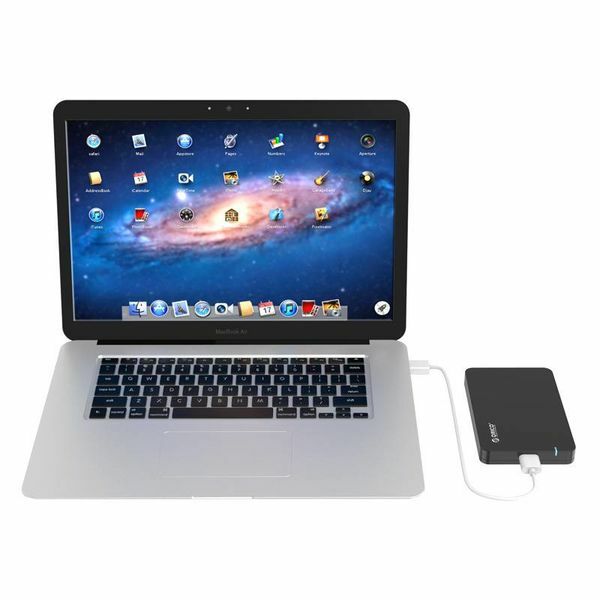 The housing is compatible with SATA I, II and III and also with Solid State Drives (SSD). No driver is required. 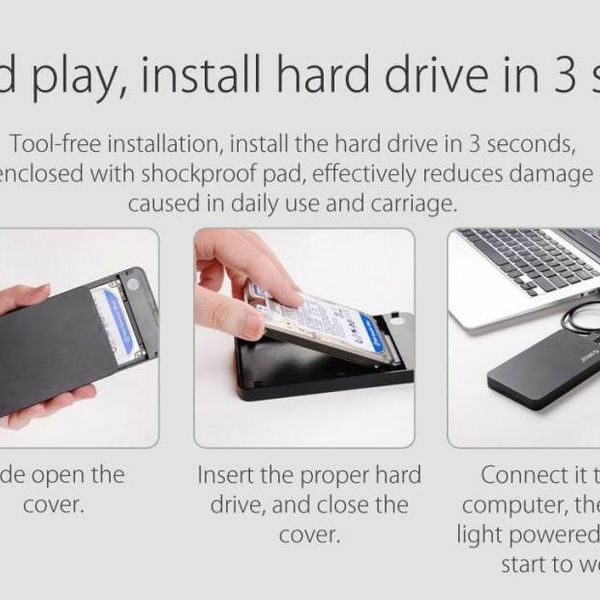 So it is plug and play! 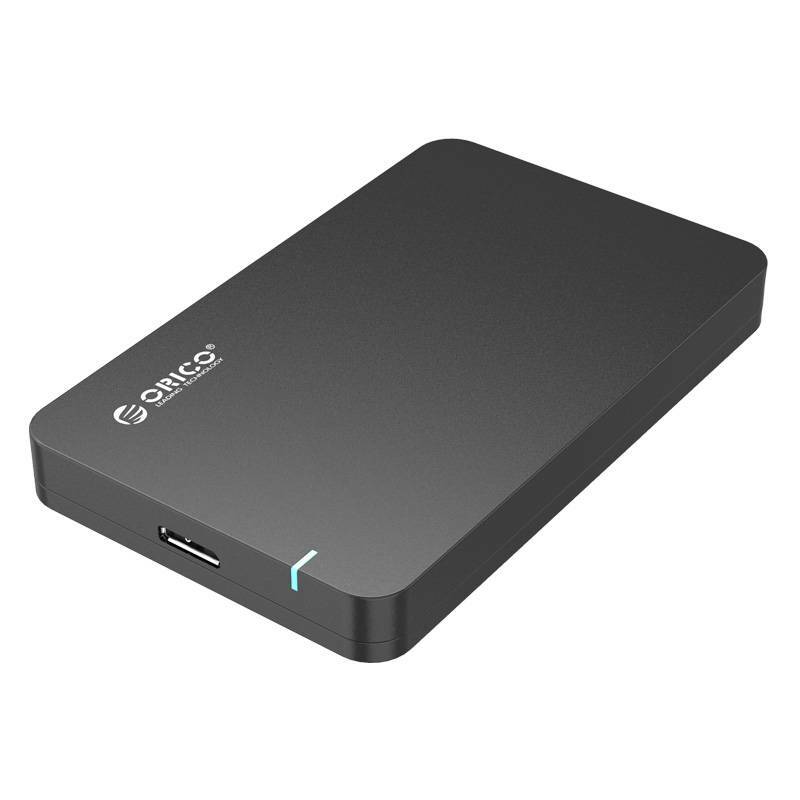 Works with Windows 10/8/7 / Vista and XP, Mac OS, Linux and Unix. 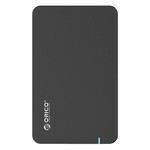 The 2.5 inch hard disk enclosure from Orico is equipped with multiple safety systems. 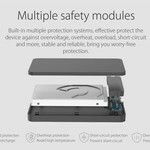 This protects the product against over-voltage, over-current, leakage current and short-circuit. The hard drive enclosure supports HDD and SSD drives with a maximum capacity of 2TB. 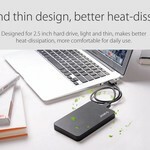 Note: no hard disk is supplied. 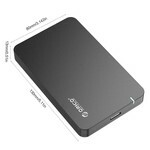 ✔ Type: 2.5 inch HDD / SSD (7mm and 9.5mm). 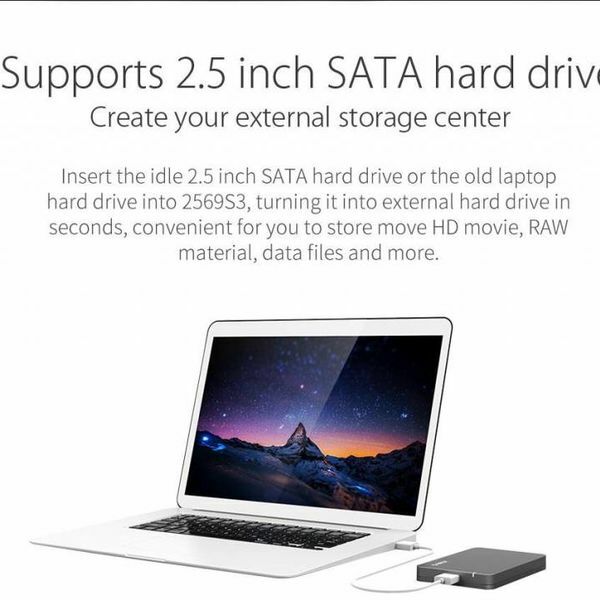 ✔ HDD: SATA I, II, III. 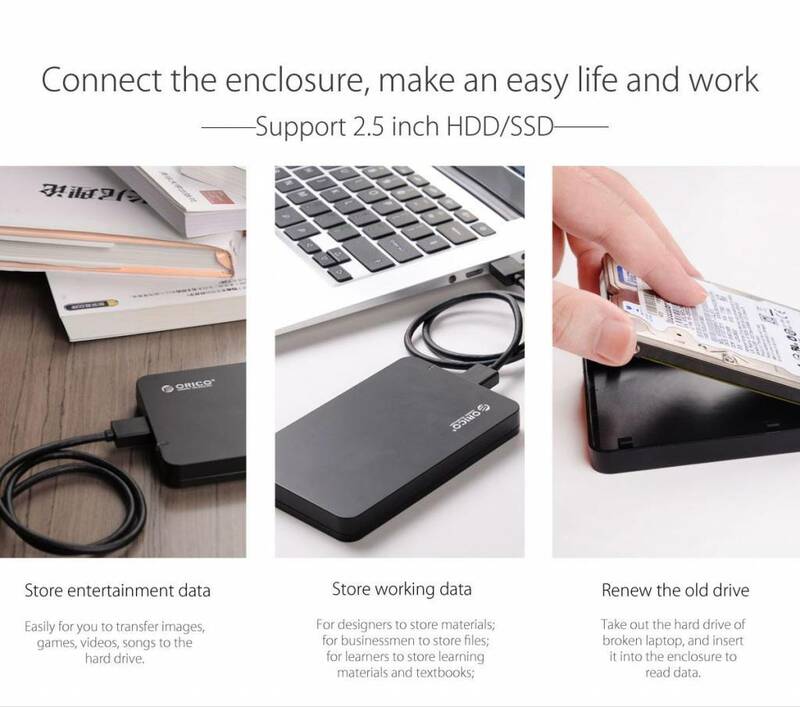 ✔ Supports: Windows XP / 7/8/10, Windows Vista, Mac OS X 10.2 and higher. 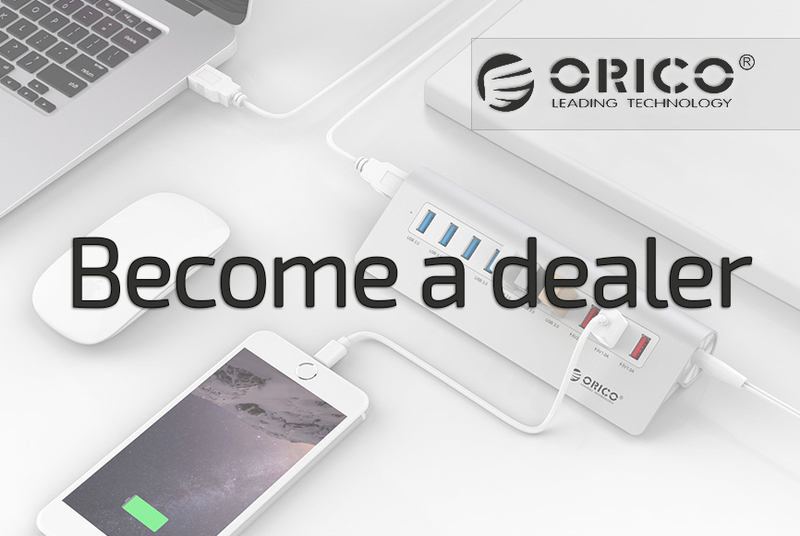 ✔ Cable length: 0.6 meters. ✔ Product dimensions: 129mm x 80mm x 14mm.